What is the Importance of Funeral Cover? Sometimes we forget how important funeral cover is. We all want our loved ones to be fully taken care of during a time of need. If you pass away, the very last thing you want your loving family to do is try and find the money to bury you. 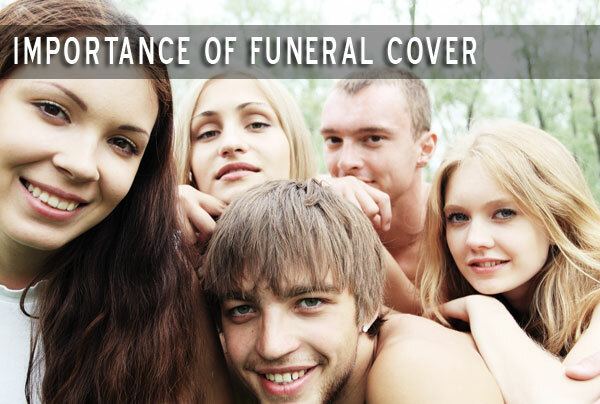 There are various reasons why we need funeral cover. Most importantly, your family needs to have funds available to arrange a decent funeral. If you have a decent funeral plan, your family will have funds available quickly. The faster your family has access to the funds the better. Some funeral cover providers will offer your family in less than 24 hours. This means that your family will not have to go through the stress of finding money. It’s important that your family has the peace of mind. With funeral cover, if something happens to you, funds will be available to ensure a great funeral. Getting funeral cover for your family is easy. We provide funeral cover quotes from South-Africa’s top providers. We represent providers that can offer you a tombstone, gravestone, hearse, tents & chairs etc. This means that your family will have access to important services required to arrange a funeral. Some providers even provide a discount if you make use of their funeral arrangements. It’s great to have funds, but it’s equally important to have peace of mind. You will sleep better at night if you know your deserving family is taken care of. Imagine if you depart this earth and your family might be left with debt. Funerals can be really expensive; your family might struggle financially for a long time after you have passed on. Get your funeral cover quote today. Don’t wait until it’s too late. We advise you to sign up for funeral cover while you are healthy. Most funeral plans have a 6 month waiting period for natural causes. Anybody can fall ill at any time. Accidents happen every day, no matter where you are. For a free funeral cover quote, please complete our contact form and we will contact you as soon as possible. « Should I Get the Cheapest Funeral Cover?